BP issued a press release this week stating that its active cleanup efforts in Mississippi, Alabama, and Florida were now complete. In Louisiana, there are still over 100 miles of shoreline that are still being cleaned or monitored. Despite the end of the active cleanup in some states, BP remains responsible for removing any oil from the Macondo well that may wash up in the future. You can read the press release here. While this may be a significant milestone as we pass the third anniversary of the spill, not all the news is good. The National Wildlife Federation has released a report that details some of the ongoing issues in the Gulf, some of which may be related to the DWH spill. The whole report can be found here, but some of the main concerns are continuing high mortality of dolphins and sea turtles, damaged coral, and negative impacts to killifish, an important baitfish. We don’t know for sure if these problems are a direct result of the oil, but many researchers are actively working to better understand the role that oil plays in the function of these organisms. Fortunately, shrimp and brown pelicans are two species that, according to the National Wildlife Federation report, are doing well in the Gulf. If we want that to continue, however, we’ll need to commit resources to large scale habitat restoration, especially the coastal wetlands. Let’s hope that the public remembers and the political will remains to develop and implement long-term, sustainable restoration projects on our Gulf coast. Jam-Packed Week in the World of Wildlife! Apr 20th = 3rd year anniversary of the Deepwater Horizon Spill. 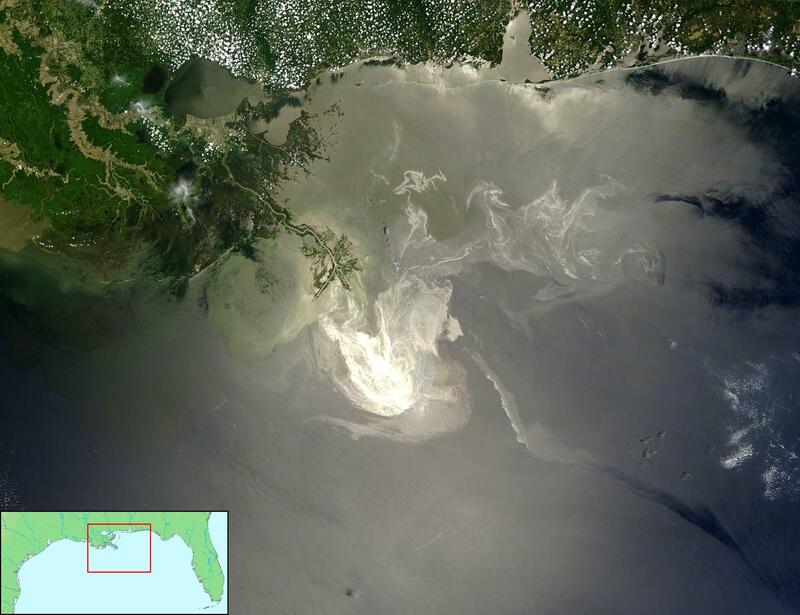 It’s hard to believe that it has been three years since that event rocked the oil spill world. Efforts are still underway to understand the impacts to the Gulf of Mexico from this blowout, with some info just now being released on marine mammal issues (see below). On the readiness side, the OWCN is finalizing a first draft of new and expanded national Oiled Marine Mammal Guidelines for NOAA-NMFS that will hopefully help address some of the key issues this spill raised. Apr 21 = Oiled wildlife training for the International Association of Aquatic Animal Medicine (IAAAM) conference, hosted by The Marine Mammal Center. Christine, Nancy and I gave a day-long course to over 40 international marine animal professionals (mostly marine mammal vets, but several others of various ilk). The course was long on Powerpoints (cramming oil spill info on mammal and birds species over a short time period), but did include a great hands-on portion where TMMC allowed us to do “processing and intake” on four juvenile elephant seals. Overall, it was a great enthusiastic group – special thx to Frances Gulland and Tenaya Norris for organizing, as well as the entire TMMC vet/husbandry staff for pitching in during a very busy day! Apr 22nd = Earth Day. In 1970, the concept of Earth Day was developed by Gaylord Nelson, US Senator from Wisconsin, after witnessing the effects of the 1969 Platform A blowout in Santa Barbara. He felt that if he could infuse that energy with an emerging public consciousness about air and water pollution, it would force environmental protection onto the national political agenda. Since that time, Earth Day has held a special place in our hearts within the oil spill community, as it led to the formation of the USEPA, the Clean Water Act, and the Oil Pollution Act of 1990 (OPA90). For more info on this event and its history, please visit http://www.earthday.org/earth-day-history-movement. Apr 22nd – 25th = IAAAM Conference at Cavallo Point Lodge, Sausalito. This international meeting brought together more than 440 wildlife professionals from 25 countries to discuss issues and research findings pertinent to our marine species. The setting was gorgeous, the papers and posters fascinating, and the discussions and networking capabilities were thought-provoking and exciting. Especially relevant was presentations by Drs. Stephanie Venn-Watson and Cynthia Smith of the National Marine Mammal Foundation on health affects being seen in bottlenose dolphins from the coastal Louisiana region. Fascinating work that may assist us in better understanding the unusual mortality event that continues to rage there, and the possible effects that the DWH spill had on this species. More info on the conference can be found at http://www.iaaam.org. Apr 25th = World Penguin Day. To round out a crazy busy week, we took a day to appreciate and better understand the amazing animals that are penguins. As we are all aware, penguins are key animals for us to describe the horrific effects of oil on animals (as the Treasure and Oliva oil spills) as well as the significantly positive results that can be seen with effective and professional rehabilitation (as SANCCOB/IBRRC/IFAW and Massey University have shown). Further, these birds have led to significant research on the long-term effects of oiling on marine species and given us great data to base arguments on the merits of intervention after oil spills. Lastly (and something I did not know before), they can tell us a lot about our own personality types! If you haven’t yet done so, go take the Pew Charitable Trust Penguin Personality Quiz (as well as learn about the conservation efforts for “your” species). BTW – Adelie penguins rule! OK, so much for “highlights”! I hope everyone has a great restful and oil-free weekend! Last year, on this date, I noted that the DWH spill was still very much in everyones minds and hearts through retrospective media reports, images and personal stories. Now that we are at two years after the start of the incident, media (and public) interest once again has peaked about the spill, but for more troubling reasons from an environmental perspective. A continued Unusual Mortality Event in dolphins, including findings of brucellosis and animals in “severe ill health”, among other stories. However, there is some good news on this front. Scientists, with sizable funding support, are attacking these questions with a voracity that is rarely seen with environmental issues, attempting to ascertain the root causes of these (and other) problems. 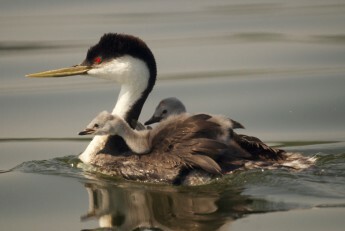 While it is easy to point the finger and blame the spill outright for such impacts, without using sound scientific principles, the ultimate outcomes can become muddled due to little baseline (pre-spill) information, the possibility of several “smoking guns” causing sick animals, and other confounding issues. With the skills of the folks working these problems, I have little doubt that we will get better results than is often seen after other disasters. You may say “who cares?” a bit to all this science-speak; the environment is still messed up. And shouldn’t we concentrate on other more important issues, such as increasing prevention and better understanding how to care for oiled animals in the future? Well, I would say: why not do all three? In addition to the Natural Resource Damage Assessment projects going on, we have basic science occuring, with organizations such as the Gulf of Mexico Research Initiative allocating hundreds of millions of dollars to better understand the impacts of oil and dispersant on the GoM ecosystem. We also have significant efforts occurring at the Federal level to minimize the risks of incidents such as the DWH occurring in the future, with new innovations on blowout prevention and control coming forward and a newly-aligned MMS focusing on the risks. On the oiled wildlife front, most oiled wildlife response organizations I know of have taken the time to evaluate their own processes and methods to see how they can do things better. Just this past week, Emily gave a webinar on changes to the OWCN protocols for animal care, and a fully revised version of both the oiled bird as well as mammal protocols, are on the horizon. On the international front, a newly-energized effort has been taking place trying to better develop a method to provide worldwide oiled wildlife response capabilities through a organized collaboration of key organizations. In all, these are exciting times! This is not to say we should become complacent. The best clean-up effort, after all, is prevention of oiling of our wildlife in the first place. Both Nationally as well as Internationally, we have a long way to go to be able to be comfortable with our plans and systems. On the oiled wildlife side, while we have come a long way in the past decades, we always have things to learn and plans to develop and test to ensure rapid, efficient and effective collection and care, should animals become affected. In closing, I would like to conclude this blog/discussion/soapbox asking you to join me in remembering the 11 crewmembers of the Deepwater Horizon rig who perished on this day. I wish everyone a safe and healthy April 20th. The big lesson, I believe, is that we need to constantly be on our toes. We need to learn from each of these incidents because, as Safina says, we know that it isn’t a matter of IF the next “big” one will occur, it is a matter of WHEN it will occur. Happy spring and happy April to all. As is evidenced by the numerous articles, blogs and other reports today, the DWH spill is still very much in everyones minds and hearts. Similar to many other folks, I had planned on “celebrating” (for lack of a better word) the one year “anniversary” of the spill with a recollection of the fact and figures associated with the largest oil spill in US history, the current status of wildlife rescue and care, and comments on the state of the environment in the Gulf. After further reflection, though, I think it is more appropriate to remember the 11 crewmembers of the Deepwater Horizon rig today and wish their families our thoughts and prayers on this day. That is not to say that I don’t want to share with you my reflections on the event – far from it. I have chosen to do this, however, on the “anniversary” of the inception/activation of the Marine Mammal/Sea Turtle Group – April 29. I have spent a great deal of time over the past month critically thinking about what occurred – what went well and what we can do as a wildlife community to improve how we approach spill response. I look forward to sharing my thoughts with our OWCN partners. We will also hopefully have some guest bloggers share their stories with us to give several voices and viewpoints to such a historic event. So, for tonight, I wish everyone a safe and healthy April 20th, and I am truly grateful that it passed in an oil-free manner. On last Friday’s “Talk of the Nation” Science Friday piece on NPR, there was an extremely interesting interview on assessing the health of the Gulf of Mexico post-Deepwater Horizon. Topics ranged from Natural Resource Damage Assessment/restoration to human health impacts for the region’s residents to using the spill as a “teachable moment” for the world’s youth. If you have some time, I would highly recommend either listening to the piece (about 45 min) or reading the transcript. Both can be found by clicking on this link. Happy reading/listening!